One of my favorite things is when I can find a fun and easy craft I can allow my kids to do with very little help. 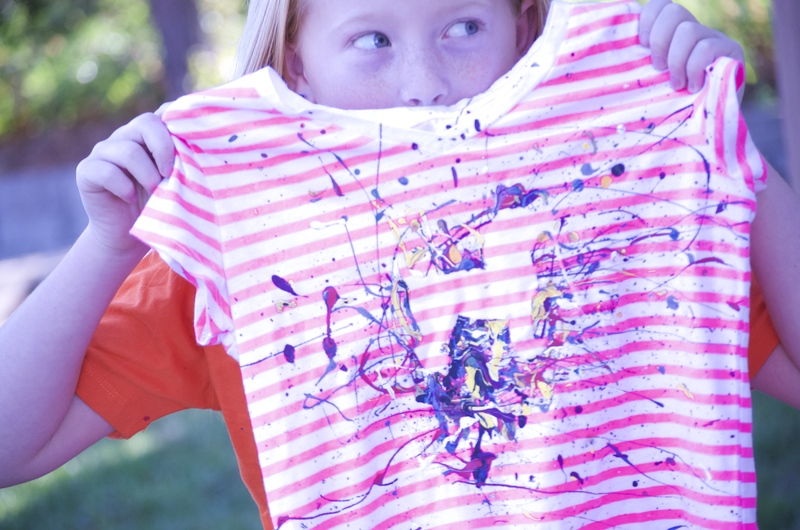 This was a fun and MESSY one that can get the creativity splattering while while encouraging outdoor crafts at the same time. The best part is you really don’t have to find a place to hang these masterpieces because they are wearable! 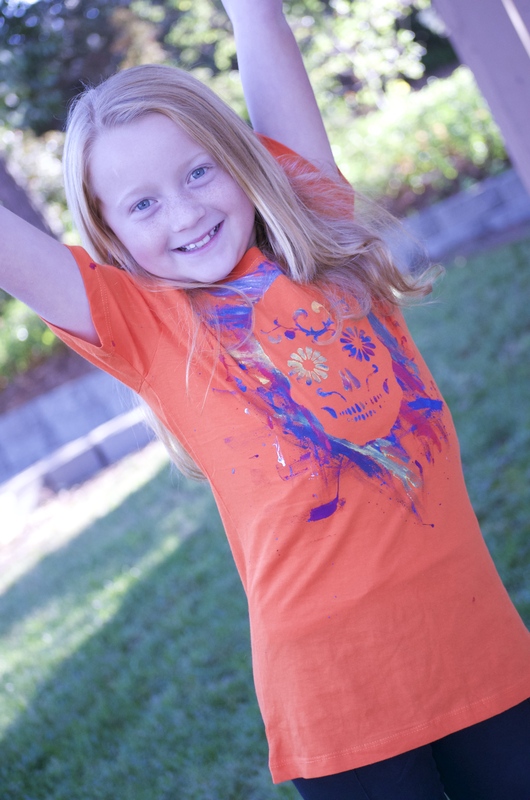 Kids LOVE showing their art off so why not let them wear it? This is one of the easiest most fun crafts too! 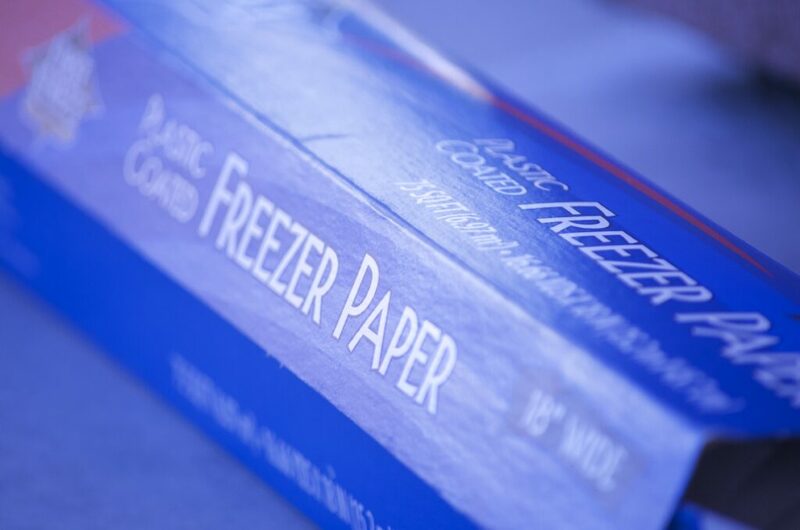 FREEZER PAPER (NOT WAX PAPER! ): Freezer paper is fusible (temporarily to clothing but peals right off!) It’s seriously like magic! 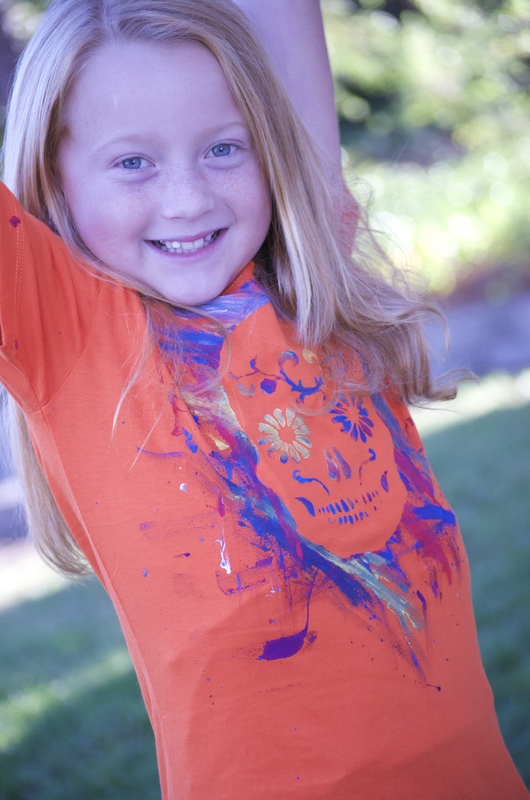 Shirts: (Any shirts, we picked some up from the thrift store) Scissors, Exacto Knife Or Cricut (For more detailed designs a cutting machine is SUPER fun for these types of things) For kids let them cut out any shapes they want, but if you do have a Cricut cut them out some fun shapes! Fun People! Ready Set go! For complete instruction check out the Millennial Moms video! !